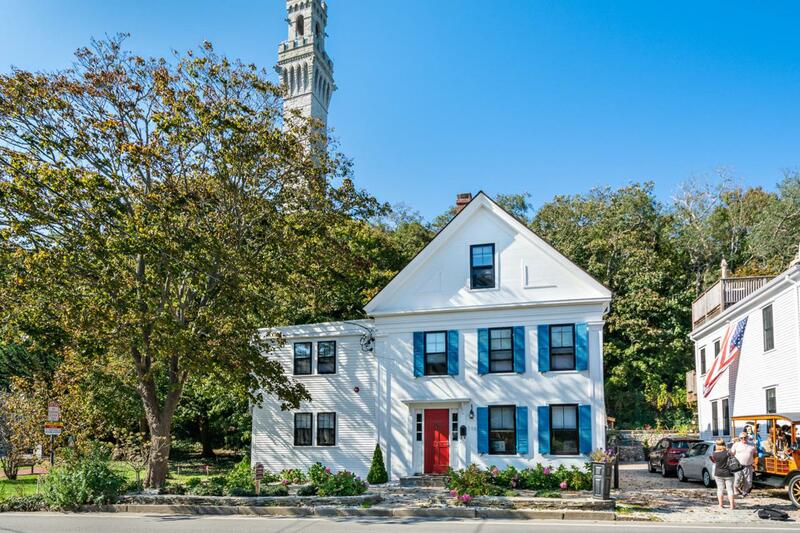 116 Bradford Street U2, Provincetown, MA 02657 (MLS #21807599) :: Rand Atlantic, Inc. This exquisite, nearly new townhome was just built two years ago. Nestled into a canopy of tall trees at the base of High Pole Hill and next to the Bas Relief Park, the Burch House was once a premier inn and is now converted to 3 luxury condominiums. This spacious and private unit has four bedrooms and three full baths and features exposed original beams, wide plank oak flooring and central air throughout. The kitchen has a large center island, and boasts quartz counters and stainless appliances. The open floor plan is wonderful for entertaining, and offers enough space for large gatherings and two eating areas. Outside, enjoy your choice of 3 decks or a lovely patio overlooking the park. The downtown location at the base of the famous Pilgrim Monument is convenient tothe pier and Commercial Street's many shops and restaurants. There is temporary parking on site and two dedicated parking spaces nearby. Other amenities include in-unit laundry and tile and marble baths. With 4BR & 3 BA, the unit is a strong rental investment. Listing provided courtesy of Emily Flax of Atlantic Bay Sotheby's Int'l R.